Every crack tells a story, a lot of them are not serious, but if you know what it is you are looking for, you can assess to a certain level of accuracy if the foundation cracks are a cause for panic or not. Of the many types of cracks, stair step cracks are among the fascinating and interesting. What is a stair step crack? 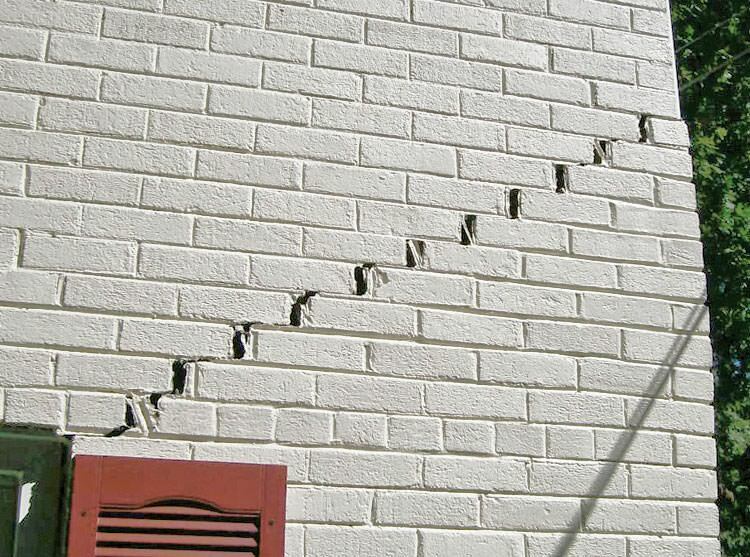 It is a type of wall fracture that follows a path along the brick work. Bricks are never laid out one on top of each other straight up, they are staggered so that the overlap provides bonding surfaces that will fill in with mortar. Doing this ensures the strength of the wall is maintained, even when something is laid against it or hammered. It provides strength not only horizontally, but also top to down, what walls need to hold this strength, however, is a steady, strong, and flat surface on which to stand. If the base of a wall is compromised, it will collapse. When there is settling underneath the foundation and it moves down by even an inch, it will pull any wall sitting directly over it down. It may be equal, but there is bound to be some movement. Stair step cracks will look like a step and will normally trace the path that is a collection of the weakest points of the wall- the gaps between bricks that is filled in with mortar. 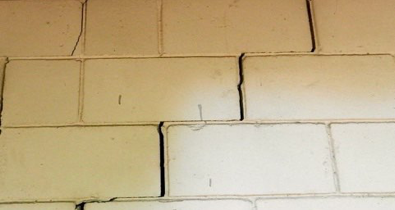 When one part of a wall moves down, it takes only the portion directly above it and since bricks are not arranged straight, the step like patch is seen. Follow the crack all the way down. Stair step cracks normally correspond to foundation cracks directly below it, so trace the path and go down and find out how much actual separation is there. Look for deflections and see if the entire structure has moved or is the movement minuscule and not readily apparent. Make notes on whether or not there is major difference between the cracked side and the stable side. Is the wall crack running smooth all the way down, or is there some kind of bowing or a noticeable ‘shelf effect’? Smooth crack is good, shelved crack, not so much. If the wall is veneer and not masonry, it is probably only a cosmetic damage, but either way, call in the experts to come take a look at it.